• His Find A Grave memorial, which includes pictures of his tombstone and grave site, is here. [S27] John Wright Boyd, A Family History: Lt. Thomas Fortson (1742-1824) and Some of His Descendants—Early Settler of Elbert County, Georgia (Danielsville, Ga.: Heritage Papers, 1973), pp. 752-53 (naming William Boyd Fortson as his father). [S27] John Wright Boyd, A Family History: Lt. Thomas Fortson, etc., above, p. 753. 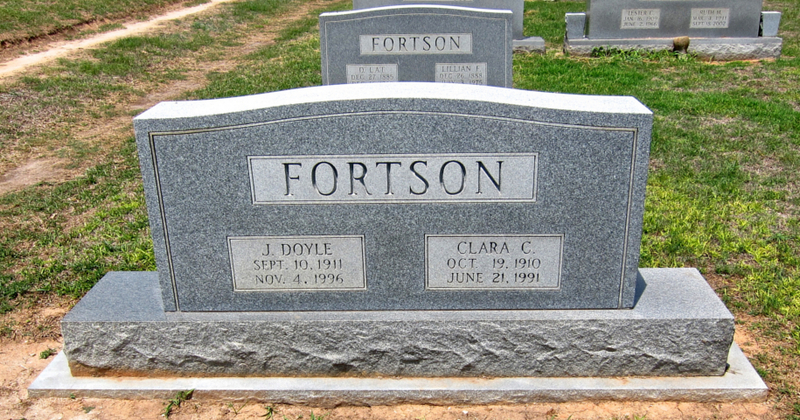 [S961] Find A Grave, online at http://www.findagrave.com, memorial for William B. Fortson, Sr., memorial no. 37706790, viewed on 27 Aug 2018. Jesse Doyle Fortson's tombstone, Elmhurst Cemetery, Elberton, Ga., courtesy of "texnative" on www.findagrave.com. [S27] John Wright Boyd, A Family History: Lt. Thomas Fortson (1742-1824) and Some of His Descendants—Early Settler of Elbert County, Georgia (Danielsville, Ga.: Heritage Papers, 1973), p. 694 (naming Lillian Elizabeth Fortson as his mother). [S27] John Wright Boyd, A Family History: Lt. Thomas Fortson, etc., above, p. 694 (naming Delancy Lat Fortson as his father). [S27] John Wright Boyd, A Family History: Lt. Thomas Fortson, etc., above, p. 694 (giving the date but not the place). [S961] Find A Grave, online at http://www.findagrave.com, memorial for Jesse Doyle Fortson, memorial no. 22487784, viewed on 23 May 2016. [S961] Find A Grave, online, above, memorial for Jesse Doyle Fortson, memorial no. 22487784, viewed on 30 May 2016. 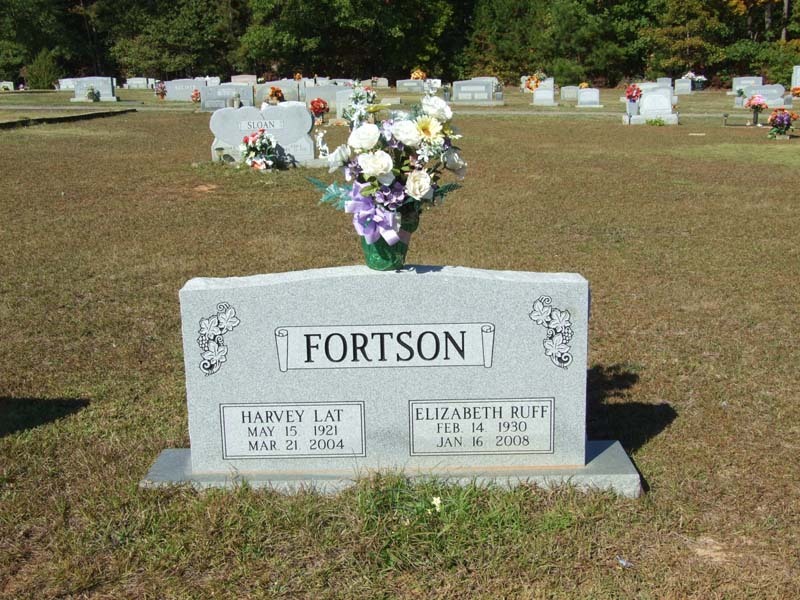 Harvey Lat Fortson's tombstone, Winterville Cemetery, Winterville, Ga., courtesy of Ed Hooten. [S27] John Wright Boyd, A Family History: Lt. Thomas Fortson (1742-1824) and Some of His Descendants—Early Settler of Elbert County, Georgia (Danielsville, Ga.: Heritage Papers, 1973), p. 694 (naming Delancy Lat Fortson as his father). [S961] Find A Grave, online at http://www.findagrave.com, memorial for Harvey Lat Fortson, memorial no. 78737682, viewed on 23 May 2016. [S27] John Wright Boyd, A Family History: Lt. Thomas Fortson, etc., above, p. 964-65. Clara Belle Carlton Fortson's tombstone, Elmhurst Cemetery, Elberton, Ga., courtesy of "Texnative" on Find A Grave.com. Other Names*: Clara Belle Carlton Fortson, Clara Carlton Fortson, Clara Belle Fortson, Clara Fortson. [S27] John Wright Boyd, A Family History: Lt. Thomas Fortson (1742-1824) and Some of His Descendants—Early Settler of Elbert County, Georgia (Danielsville, Ga.: Heritage Papers, 1973), p. 694. [S961] Find A Grave, online at http://www.findagrave.com, memorial for Clara Carlton Fortson, memorial no. 22487784, viewed on 30 May 2016. Other Names*: Mary Elizabeth Ruff Fortson, Mary Elizabeth Fortson, Mary Ruff Fortson, Mary Fortson. [S27] John Wright Boyd, A Family History: Lt. Thomas Fortson (1742-1824) and Some of His Descendants—Early Settler of Elbert County, Georgia (Danielsville, Ga.: Heritage Papers, 1973), p. 694 (naming Martin Ruff as her father). [S27] John Wright Boyd, A Family History: Lt. Thomas Fortson, etc., above, p. 694 (naming Victoria Jones as her mother). [S961] Find A Grave, online at http://www.findagrave.com, memorial for Elizabeth Ruff Fortson, memorial no. 78737544, viewed on 30 May 2016. 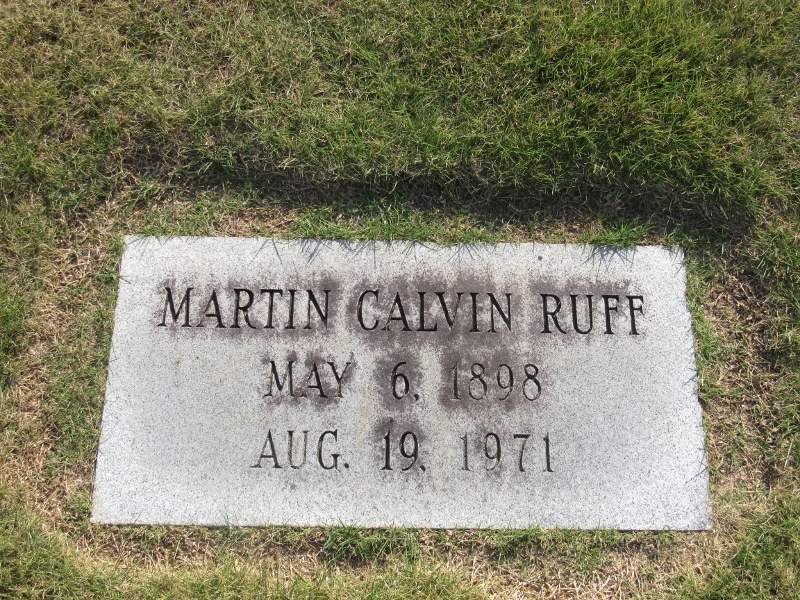 Martin Calvin Ruff's tombstone, Forest Hills Memorial Park, Elberton, Ga., courtesy of Maria Anderson. 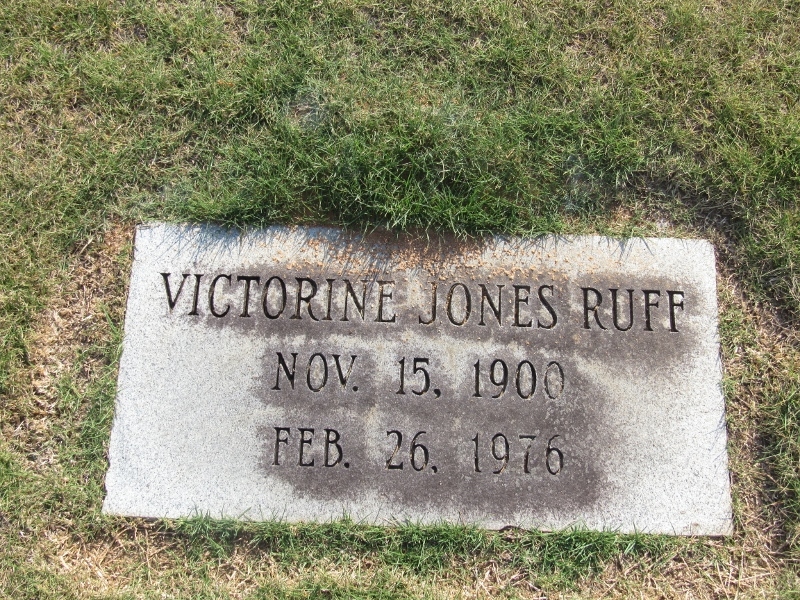 [S961] Find A Grave, online at http://www.findagrave.com, memorial for Victorine Jones Ruff, memorial no. 126609961, viewed on 30 May 2016. Victorine Jones Ruff's tombstone, Forest Hills Memorial Park, Elberton, Ga., courtesy of Maria Anderson. Other Names*: Victoria Jones Ruff, Victoria Ruff, Victorine Jones Ruff, Victorine Ruff. Death*: She died on 10 June 2004 in New Tazewell, Claiborne County, Tennessee, at age 78. Other Names*: Alice June Gray Fortson, Alice Gray Fortson, Alice June Fortson, Alice Fortson. Other Names*: Jessie Almond, Jesse Wester Almond, Jesse Almond. [S27] John Wright Boyd, A Family History: Lt. Thomas Fortson (1742-1824) and Some of His Descendants—Early Settler of Elbert County, Georgia (Danielsville, Ga.: Heritage Papers, 1973), p. 695 (naming Sophia Alice Fortson as his mother). [S961] Find A Grave, online at http://www.findagrave.com, memorial for Jessie Wester Almond, memorial no. 44202948, viewed on 9 Apr 2017. 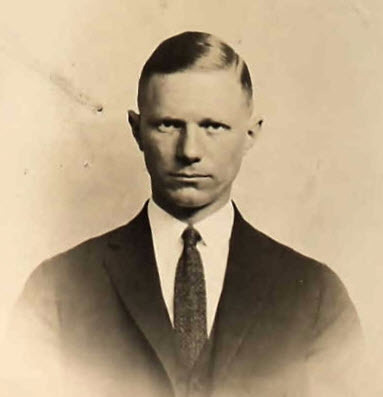 [S27] John Wright Boyd, A Family History: Lt. Thomas Fortson, etc., above, p. 695 (spelling his first name as Jerral and naming Jesse Wester Almond as his father). [S961] Find A Grave, online, above, memorial for Jerrol Wade Almond, memorial no. 129830481, viewed on 9 Apr 2017 (naming Wester Jesse Almond as his father). Other Names*: Milton Almond, S. Milton Almond. [S27] John Wright Boyd, A Family History: Lt. Thomas Fortson (1742-1824) and Some of His Descendants—Early Settler of Elbert County, Georgia (Danielsville, Ga.: Heritage Papers, 1973), p. 695 (naming George Milton Almond as his father). [S27] John Wright Boyd, A Family History: Lt. Thomas Fortson, etc., above, p. 695 (giving his name as S. Milton Almond). [S961] Find A Grave, online at http://www.findagrave.com, memorial for Milton Strickland Almond, memorial no. 44202956, viewed on 9 Apr 2017. [S961] Find A Grave, online at http://www.findagrave.com, memorial for Thomas Dallas Almond, memorial no. 44202968, viewed on 9 Apr 2017. Alice Tate Butler's tombstone, Elmhurst Cemetery, Elberton, Ga., courtesy of "texnative" on www.findagrave.com. Other Names*: Alice Sophia Tate Butler, Alice Tate Butler, Alice Sophia Butler, Alice Butler. [S27] John Wright Boyd, A Family History: Lt. Thomas Fortson (1742-1824) and Some of His Descendants—Early Settler of Elbert County, Georgia (Danielsville, Ga.: Heritage Papers, 1973), p. 695 (naming Mary Frances Almond as her mother). 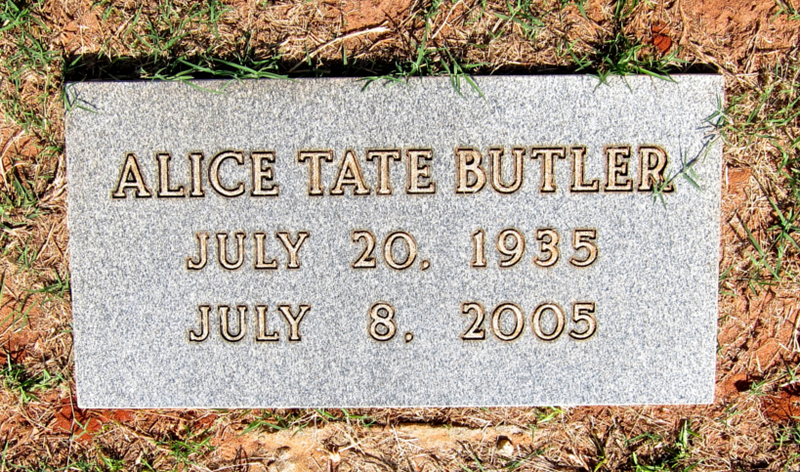 [S961] Find A Grave, online at http://www.findagrave.com, memorial for Alice Tate Butler, memorial no. 147274124, viewed on 5 June 2016 (naming Mary Frances Tate as her mother). [S961] Find A Grave, online, above, memorial for Alice Tate Butler, memorial no. 147274124, viewed on 5 June 2016. [S1336] Clopton Family Association Newsletter, vol. 31, no. 2 (May 2016), p. 4 ("The Booth Family") (naming Robert Booth as her father). [S1336] Clopton Family Association Newsletter, vol. 31, no. 2 (May 2016), p. 4 ("The Booth Family") (naming Frances Booth as her mother). Other Names*: Laura Tichenor Naudain, Laura Naudain. [S961] Find A Grave, online at http://www.findagrave.com, memorial for Laura J. Tichenor Naudain, memorial no. 96373284, viewed on 3 Jul 2016. [S961] Find A Grave, online, above, memorial for Laura J. Tichenor Naudain, memorial no. 96373284, viewed on 3 Jul 2016 (giving the date and city but no other information). [S1349] Saint Louis Post-Dispatch, Saint Louis, Mo., online at http://www.newspapers.com, 14 Aug 1931, p. 21, col. 4 (obituary of Mrs. Laura Tichenor Naudain). [S961] Find A Grave, online, above, memorial for Laura J. Tichenor Naudain, memorial no. 96373284, viewed on 3 Jul 2016 (not giving the date). [S1349] Saint Louis Post-Dispatch, Saint Louis, Mo., above, 14 Aug 1931, p. 21, cols. 4-5 (obituary of Mrs. Laura Tichenor Naudain). • Her Find A Grave memorial, which includes a link to her online death certificate, is here. [S1337] The Evening Journal, Wilmington, Del., online at http://www.newspapers.com, 28 Nov 1911, p. 1, col. 3 (obituary of Mrs. Jane B. Naudain) (naming Jane B. Naudain as her mother). [S961] Find A Grave, online, above, memorial for Mary B. Naudain Adair, memorial no. 151170746, viewed on 5 Jul 2016. [S961] Find A Grave, online, above, memorial for Mary B. Naudain Adair, memorial no. 151170746, viewed on 5 Jul 2016 (not giving the date or place). [S961] Find A Grave, online, above, memorial for Robert Adair, memorial no. 126044486, viewed on 5 Jul 2016 not giving the date or place). [S1340] The Morning News, Wilmington, Del., online at http://www.newspapers.com, 27 Dec 1911, p. 5, col. 3 (stating that they were married at 11:00 p.m. by Rev. Charles Bratten Dubell). [S1340] The Morning News, Wilmington, Del., above, 15 Dec 1937, p. 12, col. 2 (stating that she died after three weeks' illness of pneumonia). [S961] Find A Grave, online, above, memorial for Mary B. Naudain Adair, memorial no. 151170746, viewed on 5 Jul 2016 (not giving the date). [S1340] The Morning News, Wilmington, Del., above, 15 Dec 1937, p. 12, col. 2 (obituary of Mrs. Mary Naudain Adair). [S1340] The Morning News, Wilmington, Del., above, 27 Dec 1911, p. 5, col. 3. [S961] Find A Grave, online at http://www.findagrave.com, memorial for Robert Adair, memorial no. 126044486, viewed on 5 Jul 2016 (naming Lewis Ferris Adair as his father). [S961] Find A Grave, online, above, memorial for Lewis Ferris Adair, memorial no. 129687910, viewed on 5 Jul 2016 (naming Lewis Ferris Adair as his father). [S961] Find A Grave, online, above, memorial for Robert Adair, memorial no. 126044486, viewed on 5 Jul 2016 (naming Julia A. P. Gallagher Adair as his mother). [S961] Find A Grave, online, above, memorial for Julia A. P. Gallagher Adair, memorial no. 126044364, viewed on 5 Jul 2016 (naming Julia A. P. Gallagher Adair as his mother). [S961] Find A Grave, online, above, memorial for Robert Adair, memorial no. 126044486, viewed on 5 Jul 2016. 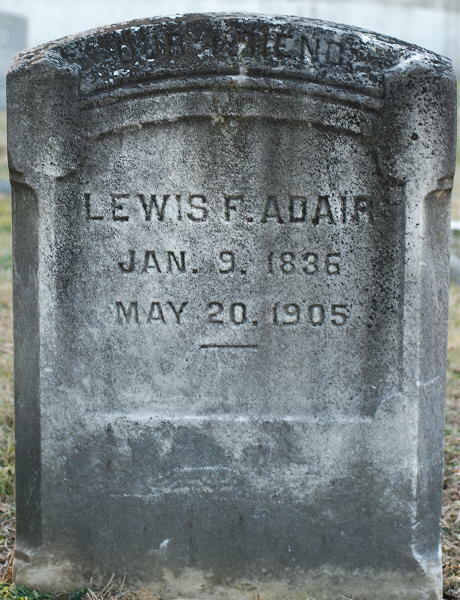 Lewis F. Adair's tombstone, Old Welsh Tract Baptist Church Cemetery, Newark, Del., courtesy of Tedd Cocker. Note*: He was a furniture dealer. He and Julia were divorced. [S961] Find A Grave, online at http://www.findagrave.com, memorial for Lewis Ferris Adair, memorial no. 129687910, viewed on 5 Jul 2016. [S961] Find A Grave, online, above, memorial for Julia A. P. Gallagher Adair, memorial no. 126044364, viewed on 5 Jul 2016. [S961] Find A Grave, online, above, memorial for Robert Adair, memorial no. 126044486, viewed on 5 Jul 2016 (naming Lewis Ferris Adair as his father). Other Names*: Julia Gallagher Adair, Julia Adair. [S961] Find A Grave, online at http://www.findagrave.com, memorial for Julia A. P. Gallagher Adair, memorial no. 126044364, viewed on 5 Jul 2016. [S961] Find A Grave, online, above, memorial for Lewis Ferris Adair, memorial no. 129687910, viewed on 5 Jul 2016. [S961] Find A Grave, online at http://www.findagrave.com, memorial for Wallace Naudain Daniels, memorial no. 139366422, viewed on 17 Jul 2016. [S1337] The Evening Journal, Wilmington, Del., above, 20 Nov 1913, p. 20, col. 3. Other Names*: Mary Somerville, Mary Frances Somerville Daniels, Mary Somerville Daniels, Mary Frances Daniels, Mary Daniels. [S961] Find A Grave, online at http://www.findagrave.com, memorial for Mary Frances Daniels Somerville, memorial no. 85836382, viewed on 17 Jul 2016. [S1337] The Evening Journal, Wilmington, Del., online at http://www.newspapers.com, 20 Nov 1913, p. 20, col. 3. Marriage*: He married Lydia E. Cann. [S1343] Journal-Every Evening, Wilmington, Del., above, 20 Mar 1920, p. 16, col. 4 (obituary of Mrs. Sarah E. Houston) (naming Andrew Eliason as her father). [S1337] The Evening Journal, Wilmington, Del., online at http://www.newspapers.com, 7 Feb 1919, p. 3, col. 1 (obituary of Mrs. K. E. Naudain) (naming Andrew Eliason as her father). Marriage*: She married Andrew Eliason. Other Names*: Lydia Cann Eliason, Lydia Eliason. [S961] Find A Grave, online at http://www.findagrave.com, memorial for Sarah E. Eliason Houston, memorial no. 60397117, viewed on 20 Jul 2016 (naming Lydia E. Cann as her mother). Other Names*: Wendell Martin Fortson, Frog Fortson, Wendell Frog Fortson, Wendell Fortson. • His Find A Grave memorial, which includes his picture and his obituary, is here. [S961] Find A Grave, online at http://www.findagrave.com, memorial for Wendell Martin ('Frog') Fortson, memorial no. 97654731, viewed on 31 Jul 2016 (naming Joe Bruce Fortson as his father). [S961] Find A Grave, online, above, memorial for Wendell Martin ('Frog') Fortson, memorial no. 97654731, viewed on 31 Jul 2016. [S27] John Wright Boyd, A Family History: Lt. Thomas Fortson (1742-1824) and Some of His Descendants—Early Settler of Elbert County, Georgia (Danielsville, Ga.: Heritage Papers, 1973), p. 691 (naming Joe Bruce Fortson as his father). [S961] Find A Grave, online at http://www.findagrave.com, memorial for Darrell Bruce Fortson, memorial no. 44204656, viewed on 31 Jul 2016. [S27] John Wright Boyd, A Family History: Lt. Thomas Fortson, etc., above, p. 691 (giving 30 Nov 1949 as his date of death). [S961] Find A Grave, online, above, memorial for Darrell Bruce Fortson, memorial no. 44204656, viewed on 31 Jul 2016 (giving 29 Nov 1949 as his date of death). Obituary*: "Death of Edgar H. Naudain. Note*: • He was a pharmacist in Wilmington, Delaware. He died of consumption. [S961] Find A Grave, online at http://www.findagrave.com, memorial for Edgar H Naudain, memorial no. 66374176, viewed on 8 Aug 2016 (naming Dr. C. B. Naudain as his father). [S1337] The Evening Journal, Wilmington, Del., online at http://www.newspapers.com, 5 Aug 1889, p. 3, col. 3 (obituary of Edgar H. Naudain) (not giving the date but stating that he was twenty-four years old when he died on 3 Aug 1889). [S961] Find A Grave, online, above, memorial for Edgar H Naudain, memorial no. 66374176, viewed on 8 Aug 2016. [S1337] The Evening Journal, Wilmington, Del., above, 5 Aug 1889, p. 3, col. 3 (obituary of Edgar H. Naudain) (stating that he died of consumption). [S1337] The Evening Journal, Wilmington, Del., above, 5 Aug 1889, p. 3, col. 3 (obituary of Edgar H. Naudain). [S961] Find A Grave, online, above, memorial for Edgar H Naudain, memorial no. 66374176, viewed on 8 Aug 2016 (not giving the date). [S1337] The Evening Journal, Wilmington, Del., above, 5 Aug 1889, p. 3, col. 3. [S1337] The Evening Journal, Wilmington, Del., above, 5 Aug 1889, p. 3, col. 3 (obituary of Edgar H. Naudain) (first bullet). [S961] Find A Grave, online, above, memorial for Edgar H Naudain, memorial no. 66374176, viewed on 8 Aug 2016 (including a photograph of the inscription on his tombstone that says he died on 2 Aug 1889) (second bullet). Marriage*: He married Mary Scott Beekman. [S961] Find A Grave, online at http://www.findagrave.com, memorial for Benjamin Thomas Biggs, memorial no. 7417384, viewed on 8 Aug 2016. [S1340] The Morning News, Wilmington, Del., online at http://www.newspapers.com, p. 1, col. 6 (naming Gov. 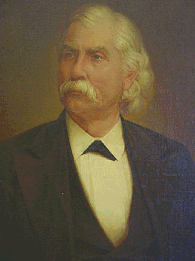 Benjamin T. Biggs as his father). [S1441] Wilmington Morning News, Wilmington, Del., online at http://www.newspapers.com, 7 Mar 1932, p. 9, col. 5 (obituary of Willard B. Biggs) (naming Gov. Benjamin T. Biggs as his father). [S1340] The Morning News, Wilmington, Del., online at http://www.newspapers.com, 13 Sep 1887, p. 3, col. 1 (not giving the date but stating that she was about eighty-three years old when she died on 9 Sep 1887). [S1340] The Morning News, Wilmington, Del., above, 13 Sep 1887, p. 3, col. 1. [S1340] The Morning News, Wilmington, Del., above, 13 Sep 1887, p. 3, col. 1 (naming Mrs. Hester Craig as her mother). [S1099] Wikipedia Online Encyclopedia http://en.wikipedia.org/wiki/Main_Page, s.v. "Archibald Cary," viewed on 12 Aug 2016. [S1099] Wikipedia Online Encyclopedia, above, s.v. "Archibald Cary," viewed on 12 Aug 2016 (naming Archibald Cary as her father). Other Names*: Helen Naudain Biggs Hukill, Helen Biggs Hukil, Helen Naudain Hukill, Helen Hukill. [S1337] The Evening Journal, Wilmington, Del., online at http://www.newspapers.com, 1 Oct 1925, p. 2, col. 1 (news item about the Biggs-Hukill wedding (naming Mr. and Mrs. Willard B. Biggs as her parents). [S961] Find A Grave, online at http://www.findagrave.com, memorial for Helen Biggs Hukill, memorial no. 133982081, viewed on 21 Aug 2016 (giving the year but no other information). [S1363] Social Security Death Index, online at http://www.genealogybank.com, record of Helen B. Hukill, viewed on 21 Aug 2016. [S1337] The Evening Journal, Wilmington, Del., above, 1 Oct 1925, p. 2, col. 1 (stating that the wedding occurred in the afternoon and was conducted by Rev. Francis H. Moore of Wayne, Pennsylvania). [S961] Find A Grave, online, above, memorial for Helen Biggs Hukill, memorial no. 133982081, viewed on 21 Aug 2016. [S1488] Hartford Courant, Hartford, Conn., online at http://www.newspapers.com, 20 May 2003, p. B8 (p. 22) (obituary for Dr. Peter Biggs) (naming Helen Naudain Biggs as his mother). 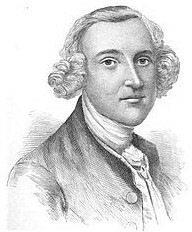 George Raymond Hukill's passport photo. [S961] Find A Grave, online at http://www.findagrave.com, memorial for George R. Hukill, memorial no. 133982073, viewed on 21 Aug 2016 (giving the year but no other information). [S1363] Social Security Death Index, online at http://www.genealogybank.com, record of George R. Hukill, viewed on 21 Aug 2016. [S1337] The Evening Journal, Wilmington, Del., online at http://www.newspapers.com, 1 Oct 1925, p. 2, col. 1 (stating that the wedding occurred in the afternoon and was conducted by Rev. Francis H. Moore of Wayne, Pennsylvania). [S961] Find A Grave, online, above, memorial for George R. Hukill, memorial no. 133982073, viewed on 21 Aug 2016. [S1337] The Evening Journal, Wilmington, Del., above, 1 Oct 1925, p. 2, col. 1 (news item about the Biggs-Hukill wedding. [S1488] Hartford Courant, Hartford, Conn., online at http://www.newspapers.com, 20 May 2003, p. B8 (p. 22) (obituary for Dr. Peter Biggs) (naming George R. Hukill as his father). • His Find A Grave memorial, which includes pictures of his grave marker, is. [S961] Find A Grave, online at http://www.findagrave.com, memorial for Hester McConnico, memorial no. 98133471, viewed on 7 Apr 2017 (naming James Washington McConnico as his father). [S961] Find A Grave, online, above, memorial for Hester McConnico, memorial no. 98133471, viewed on 7 Apr 2017. [S1207] Corsicana Daily Sun, Corsicana, Tex., online archive at http://corsicana.newspaperarchive.com, 15 Oct 1918, p. 9, col. 3 (obituary of Hester McConnico). [S961] Find A Grave, online, above, memorial for Hester McConnico, memorial no. 98133471, viewed on 7 Apr 2017 (not giving the date). [S1207] Corsicana Daily Sun, Corsicana, Tex., online archive, above, 15 Oct 1918, p. 9, col. 3.